Tennis coach Richard Williams is a controversial figure in women’s tennis. I read his new book, “Black and White: The Way I See It,” on a plane ride to Vermont. I could not put the book down. I don’t play tennis and typically don’t follow it with the exception of Venus and Serena Williams. Raised in Compton, California, Venus and Serena Williams with the coaching of their father have dominated women’s tennis for over a decade. Between them, they have won 15 Wimbledon titles, won more Olympic gold medals than any other women in tennis, each been repeatedly named the No. 1 female player in the world and earned almost every major award in the sport. Behind their success stands Richard Williams, their father and tennis coach. Through unorthodox methods and amid constant criticism, Richard Williams had a grand plan for his daughters. In this inspiring memoir, “Black and White: The Way I See It,” Williams, for the first time ever, shares stories about the poverty and violence of his early life in Shreveport, Louisiana, in the 1940s. Richard Williams used a unique parenting style as a coach and as a parent. He taught his girls how to think and he was not a super coach who acted like a tyrant. 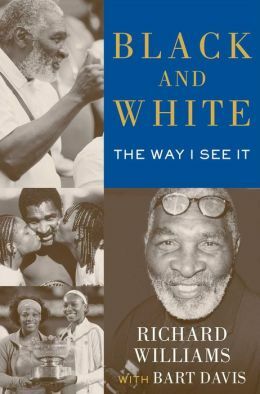 He would pull his girls from tournaments when he thought it was more important that they enjoy the childhood.At the end of the day, Richard Williams overcame major obstacles as a child, raised a loving family as an adult, and along the way, developed two of the greatest tennis players who ever lived. Hey Buddy!, I found this information for you: "Book Review — Black and White: The Way I See It by Richard Williams". Here is the website link: https://blackmeninamerica.com/book-review-black-and-white-the-way-i-see-it-by-richard-williams/. Thank you.